Nothing goes according to plan. In combat, in life, that is pretty much the sad truth. People who expect things to go according to plan will find themselves in a great deal of trouble. I used to be this way. I would plan my day, drive and expect to arrive in exactly one hour, meet someone (who will of course be on time) for exactly half an hour, be ready for another client , and so on. But I have come to realize that it is incorrect to work this way. It is rare that things will go as planned, it is wrong to expect things to click like clockwork. You must build into your day the expectation of delays, disappointments, traffic and things not going according to plan. Otherwise you will always be chasing your tail. You will showing up late to events and telling people, "I got delayed, some idiot messed up my schedule, I had a crises to deal with, it was not my fault." No, that is not true. It is your fault. You should have planned for this. Sh-t happens. Count on it. IKI Krav Maga is based on lessons learned from Israeli and Jewish history. We have been through the school of hard knocks and learned our lessons well. In 1973 Israeli was caught by surprise as it was attacked by Syria and Egypt with the support of Iraq, Jordan, Morocco, Algeria, Tunisia, Lebanon, Kuwait, Saudi Arabia, Libya, Pakistan, Israeli Arabs, Sudan, Cuba and North Korea. (16 countries against 1, and both Syria and Egypt alone far outnumbered Israel in terms of men, planes, tanks and resources). The confusion was great. The initial losses were terrifying. However the Israeli forces recovered quickly and soon were on the offensive. As Shmuel Gordon writes, "Years of planning and preparation expressed themselves in the difficult opening days of the war". We should think about those words. Israel did not want this war, Israel did everything possible to avoid this war. Israel even allowed the Arabs a free first shot. But Israel prepared for war. Israel is always prepared for war. This is reality. Israel turned the war around because our soldiers fought with great determination and because they were so well prepared. Plans did not go as planned. The enemy did not proceed or attack the we had expected. All hell broke lose. And yet, the preparation, years of preparation, years of training, expressed itself during the most difficult times. In the end it was Israel's greatest victory as it soundly defeated all 16 nations and was on its way to conquer their capital cities. Only America saved the Arabs from complete destruction. But the opening days were hell! Hell on earth. That is what we train for, that is what we prepare for, the most unexpected, the most difficult times. When we are attacked our training will kick in, it will be there and respond instinctively. The years of training will express themselves when we need it most. That is why we train. 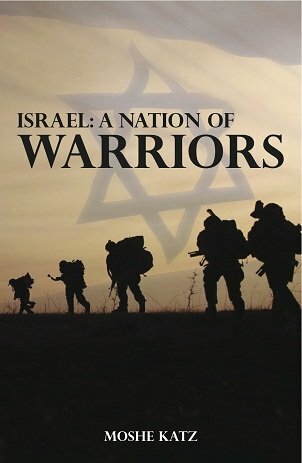 The roots of the Israeli fighting spirit..